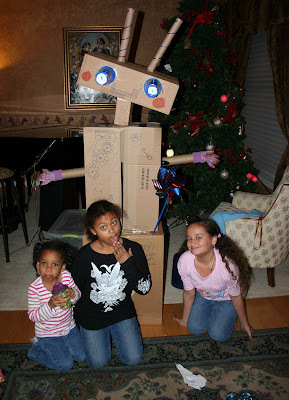 It's amazing the creativity that's displayed when you finally turn off the TV. 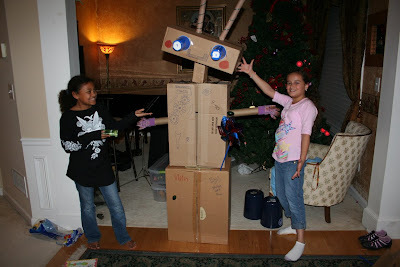 Maya and her friend constructed a life-sized robot out of my spare Christmas boxes. I was really quite impressed. Thats awesome!!!!! I want one for my office. Number 5 is alive.